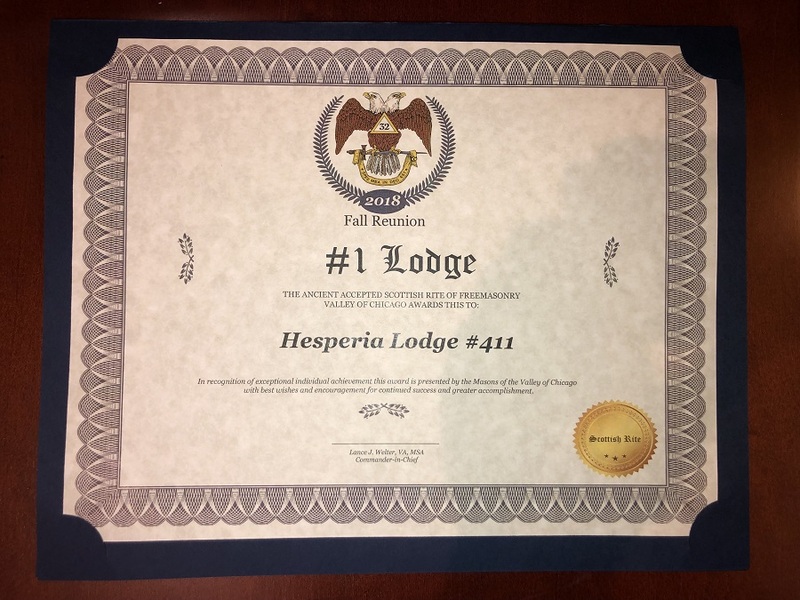 Our records show that the name of our Lodge is derived from the star “Hesperius”. In Greek mythology, this is the Evening Star or the Western Star, known today as the Planet Venus. It is the brightest object in the sky after the Sun and the Moon. As bright and as brilliant as it is, the ancients did not understand why they could not see it at midnight like the outer Planets, or during midday, like the Sun and Moon. It outshines the planets Saturn and Jupiter, which can be seen all night, but it soon disappears. It can be seen in the western evening sky for about 1 hour or so after Sunset, but never during the darker hours of the night. 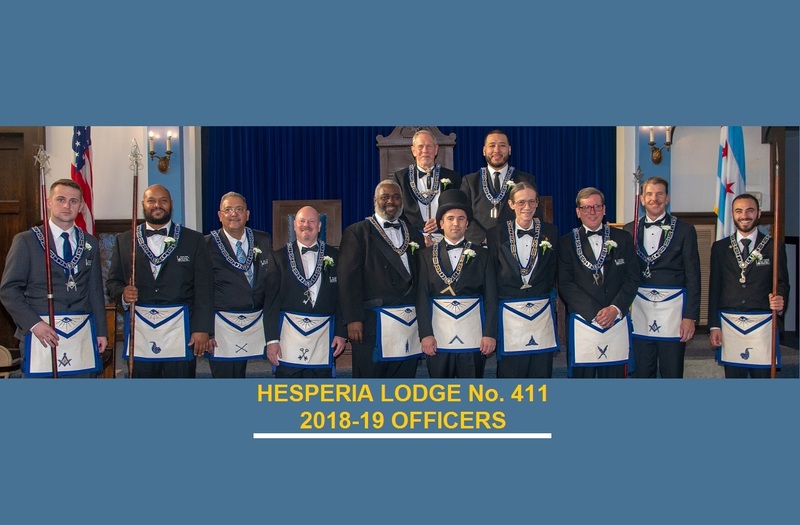 Hesperia Lodge No. 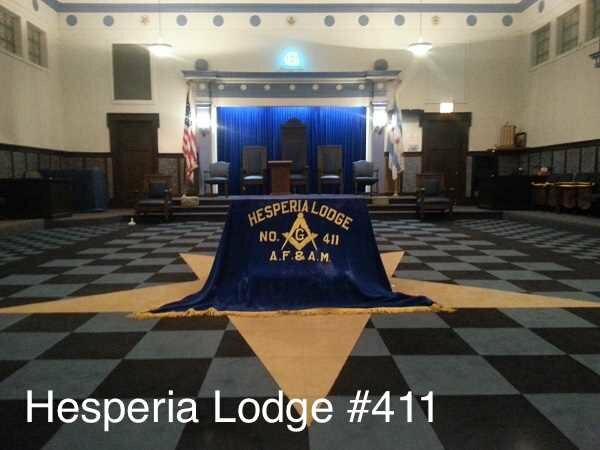 411, Ancient Free & Accepted Masons, received its Charter from the Most Worshipful Grand Lodge Ancient Free and Accepted Masons of the State of Illinois in 1864. 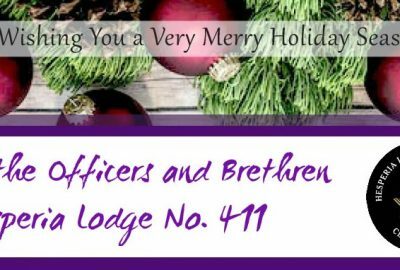 The current MW Grand Lodge of the State of Illinois was formed on January 20, 1840 at a meeting of several lodges from Illinois. 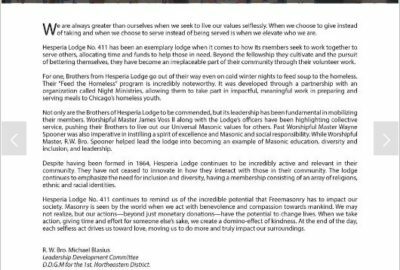 It is through these lodges, which received dispensation from the Grand Lodges A.F. 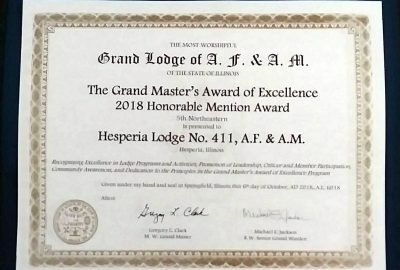 & A.M. of several adjacent states as well as Pennsylvania, and they in turn, ultimately, from the United Grand Lodge of England, that we may trace our roots. 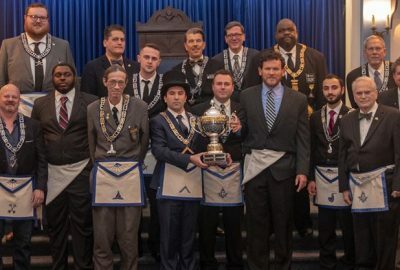 Freemasonry is an international fraternity of good men striving to become better men, men of character from every walk of life, all working together to build a better world. 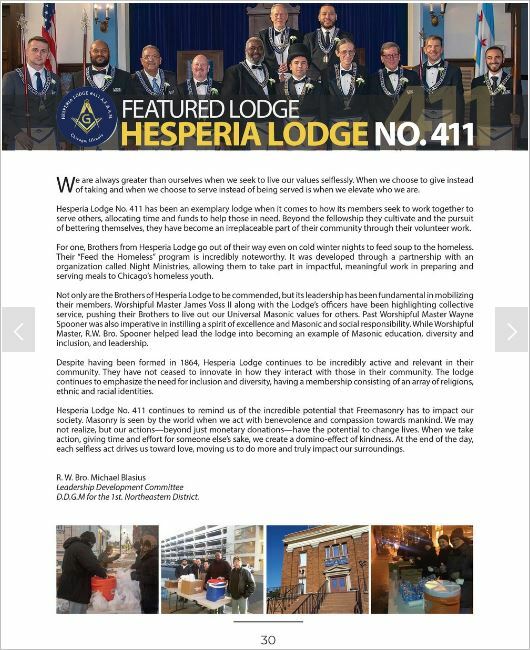 Hesperia continues to accept petitions from good men who wish to become better men and help make the world a better place through the centuries old wisdom and tradition of Freemasonry. 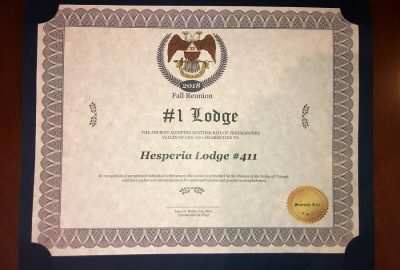 Yes, Hesperia Lodge #411 is also on Facebook so visit us there as well anytime. 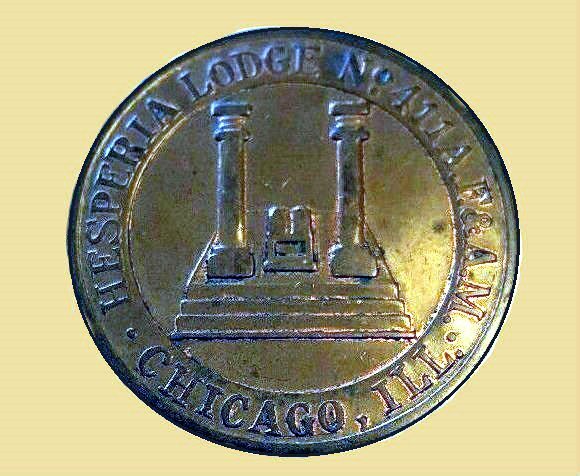 An old Masonic token that used to be given to traveling brothers who would visit our Lodge in Chicago. 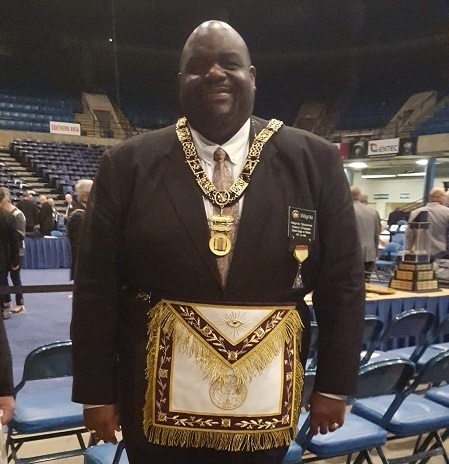 Our PM Wayne Spooner was appointed Grand Chaplain at the Grand Lodge of Illinois 178th Annual Communication. 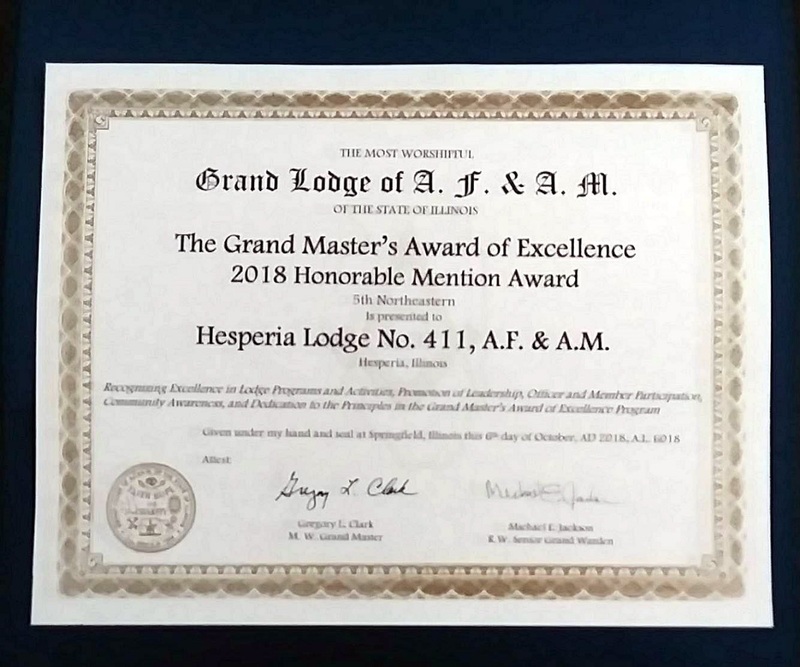 Another great achievement for Hesperia Lodge 411, recipient of the 2018 Grand Master’s Award of Excellence at the Grand Lodge of Illinois 179th Annual Communication. 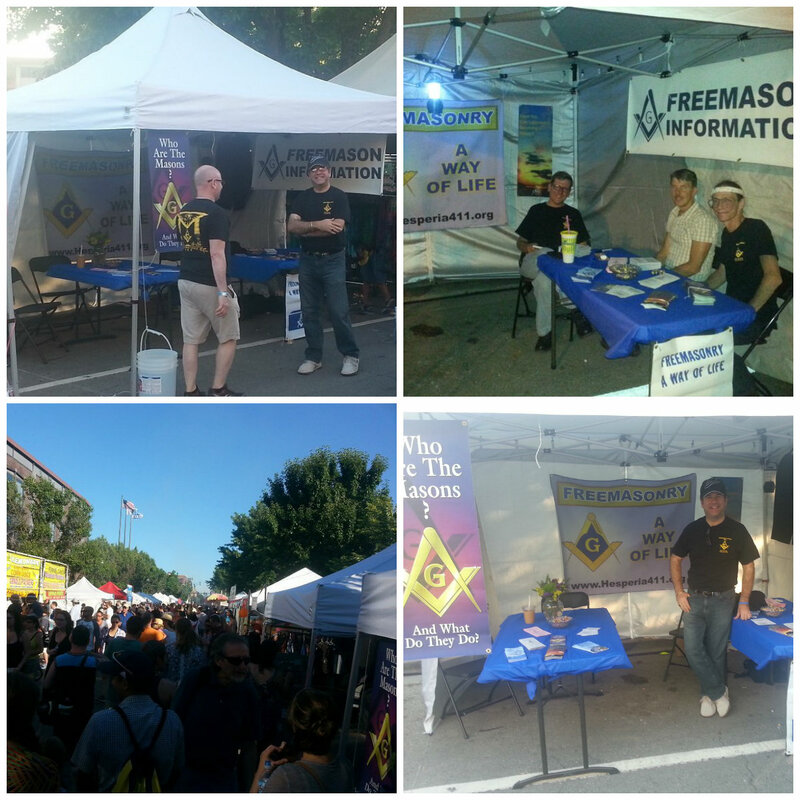 Hesperia #411 is going under the canopy promoting Freemasonry at the Square Roots Festival in Chicago again this year on July 13-15. All Sizes. 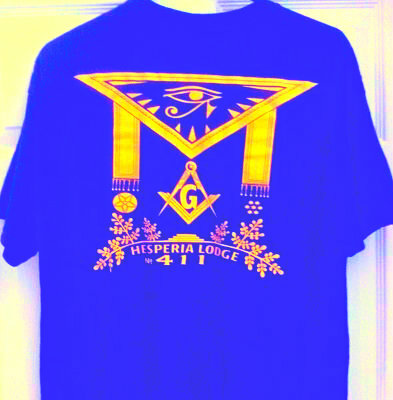 Blue color only: $24.99 via PayPal or $20 Cash. 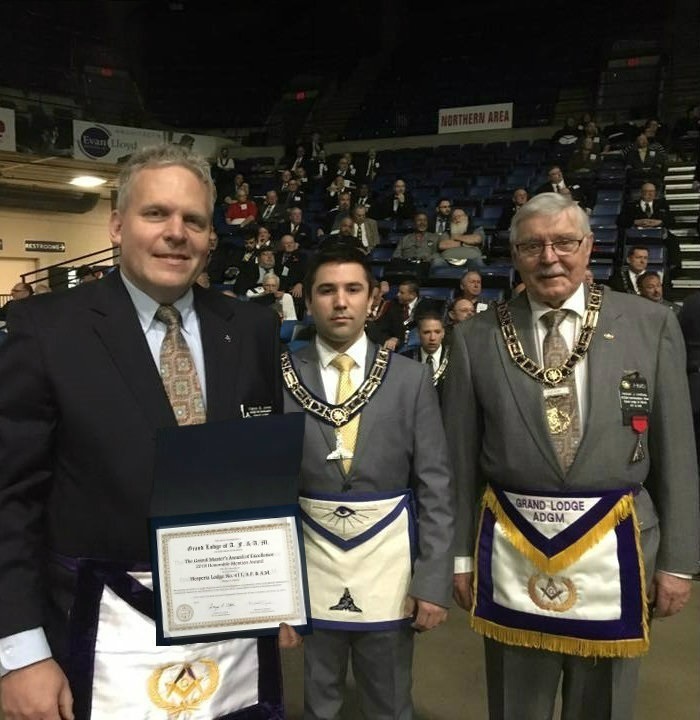 It is no coincidence that many of the Founding Fathers were Freemasons. Come join us in that place where tolerance and free thinking were reborn. 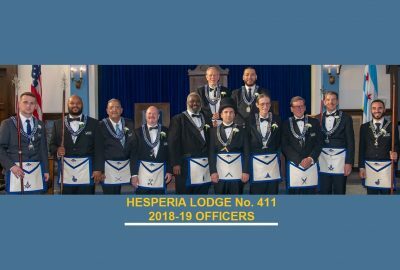 Congrats to our new 2018-19 Lodge Officers!